This truly unique Portsmouth condominium just hit the market today. Walk to all of the wonderful shops and award winning restaurants in both Portsmouth and Kittery from the Daniel Street location. This light filled home combines historic charm with modern design, seamlessly. 2 bedrooms, 3 bathrooms, four floors of finished space totaling over 2,000 sq ft of living area. Offered at $1,049,000. This unique property is listed by Tony Jalbert of Tate & Foss Sotheby’s. 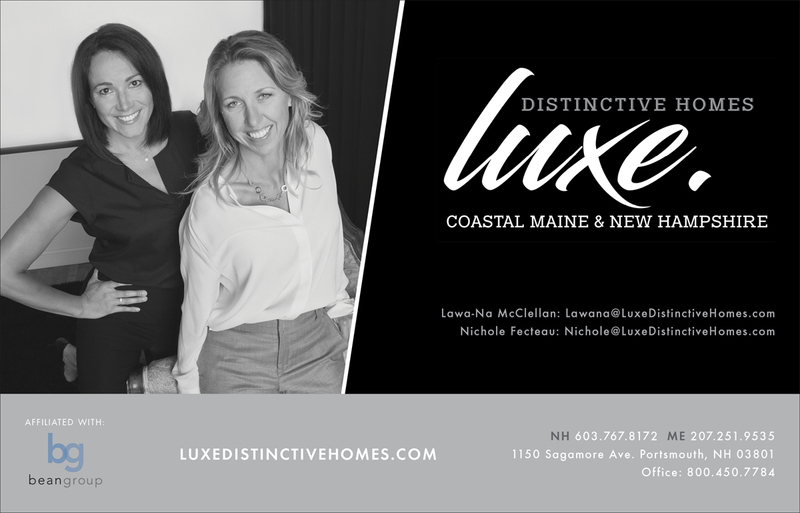 For more information or a showing, fill out the form on this page or contact Luxe at the numbers below! Information obtained from NNEREN as of 1/18/2018.